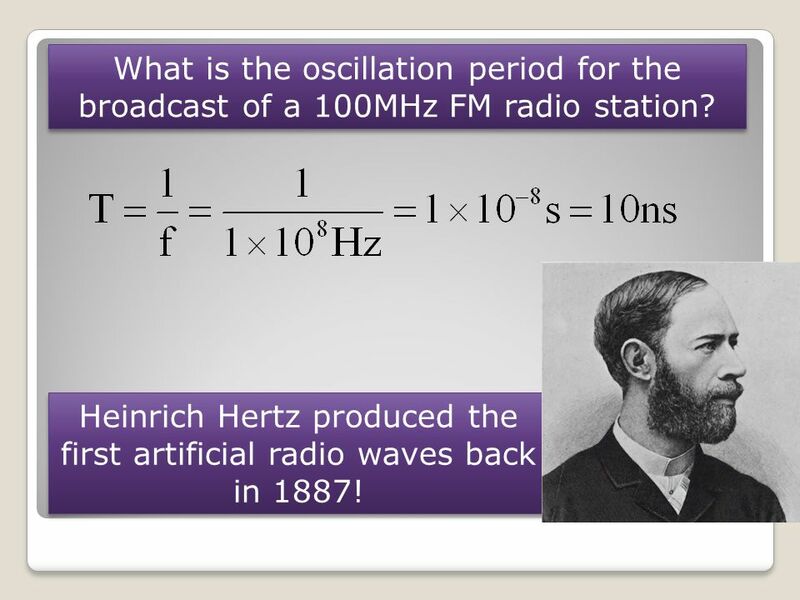 4 Heinrich Hertz produced the first artificial radio waves back in 1887! 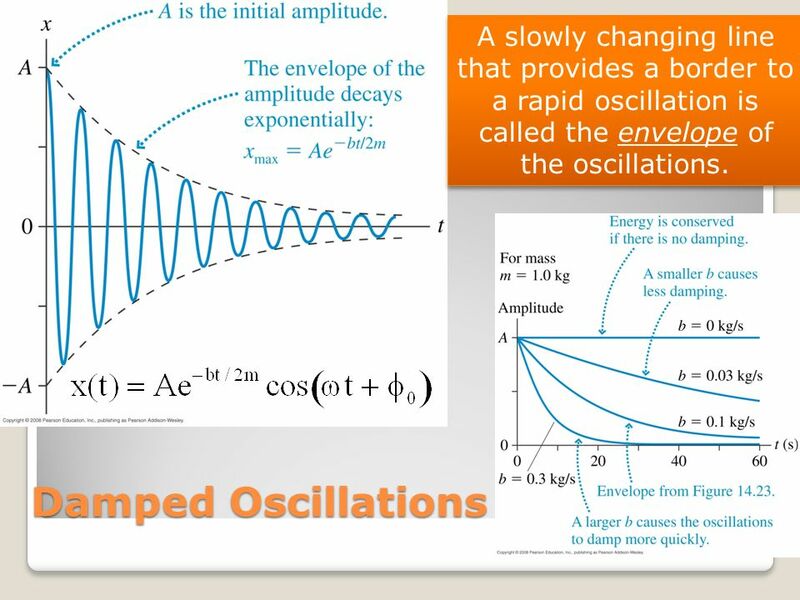 What is the oscillation period for the broadcast of a 100MHz FM radio station? 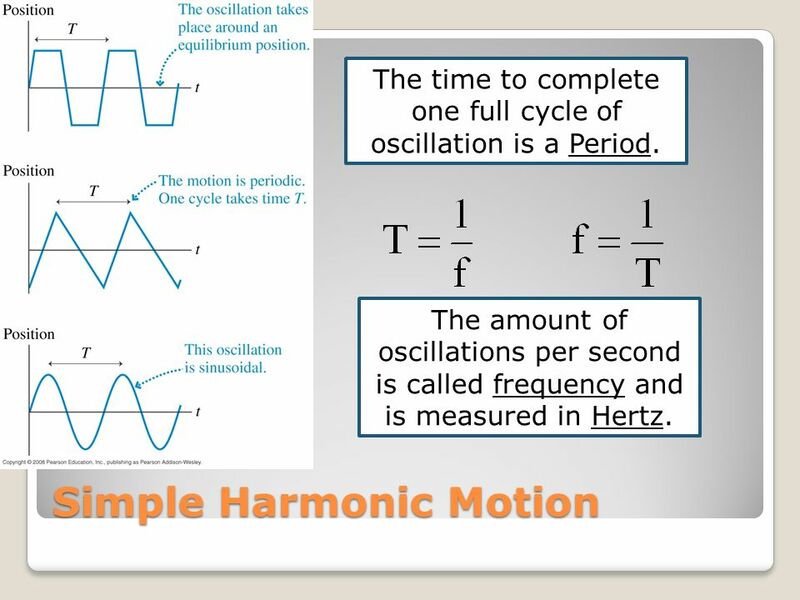 Heinrich Hertz produced the first artificial radio waves back in 1887! 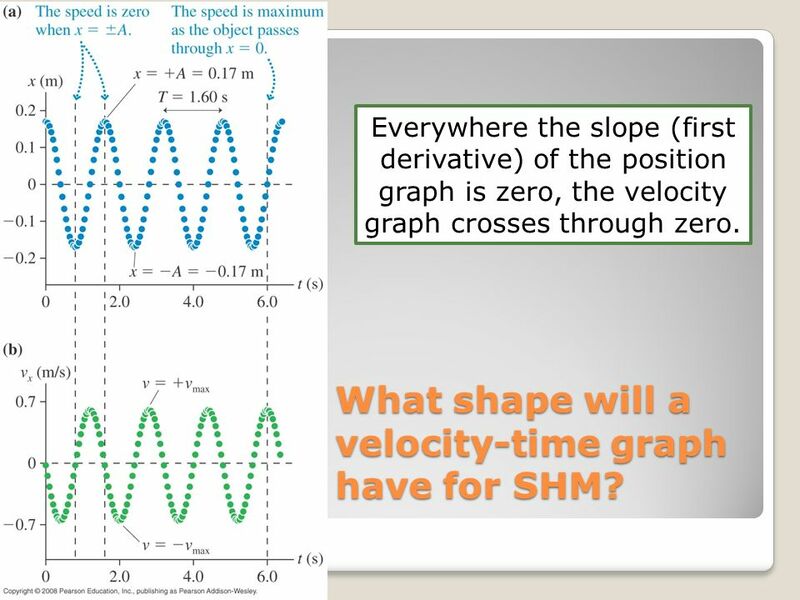 7 What shape will a velocity-time graph have for SHM? 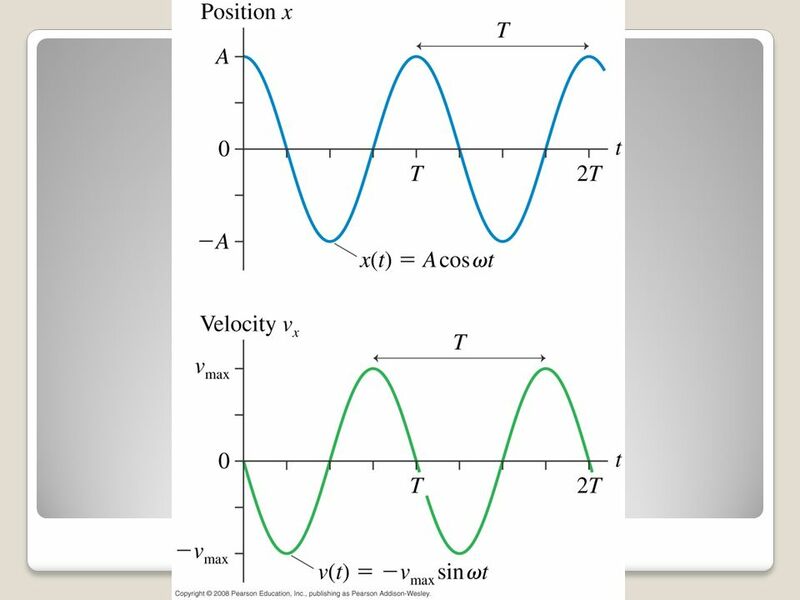 Everywhere the slope (first derivative) of the position graph is zero, the velocity graph crosses through zero. 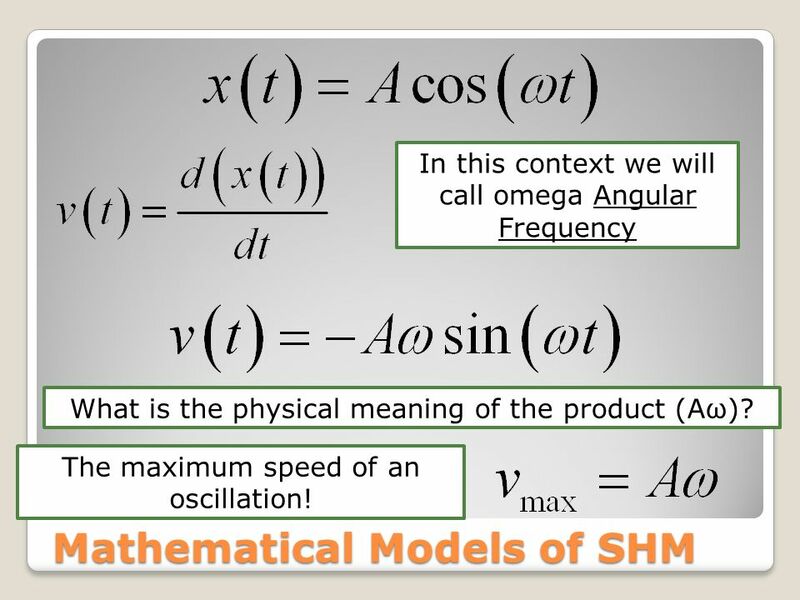 What shape will a velocity-time graph have for SHM? 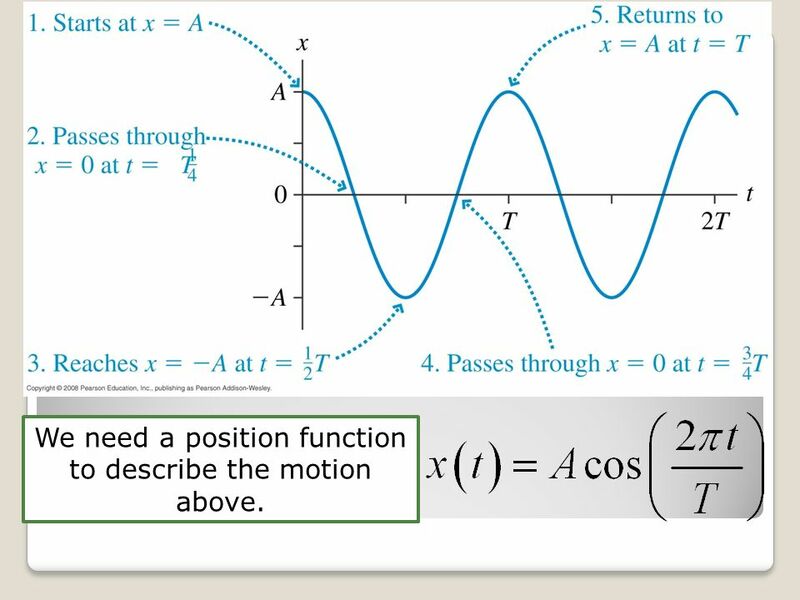 8 We need a position function to describe the motion above. 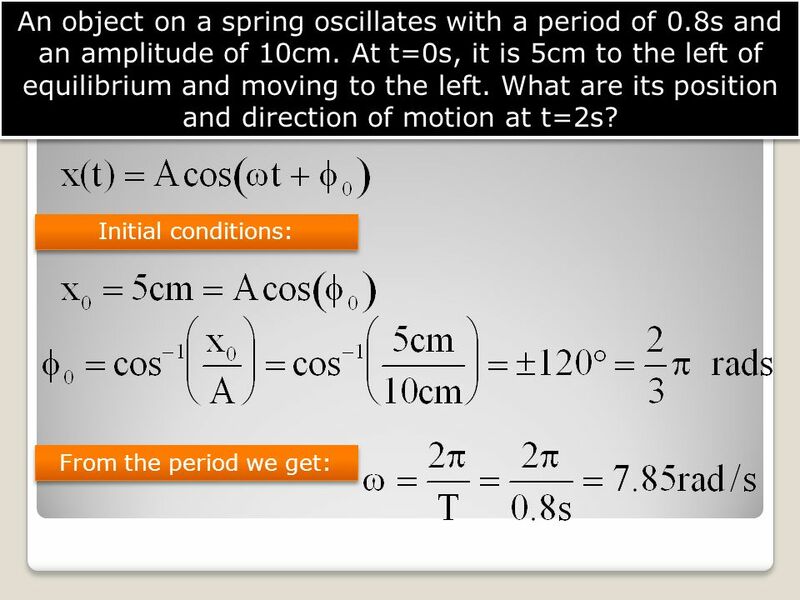 12 What is the period of oscillation? 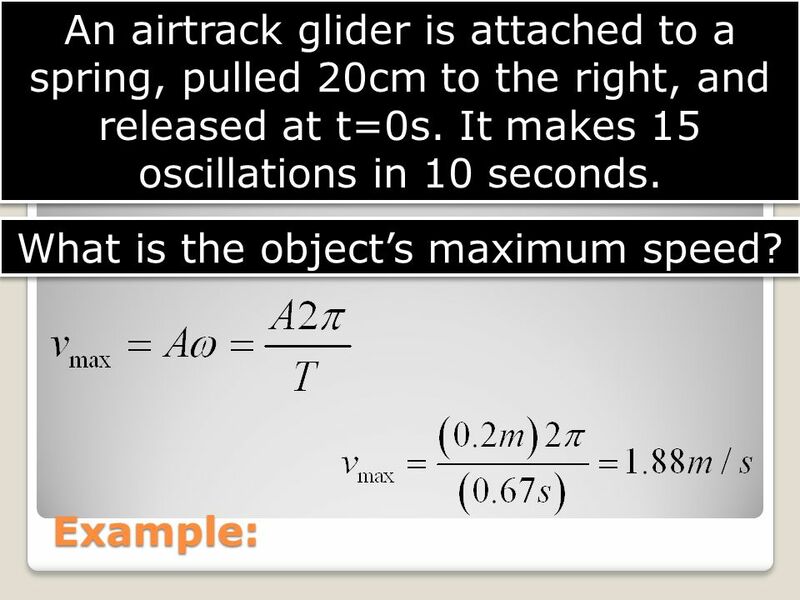 13 What is the object’s maximum speed? 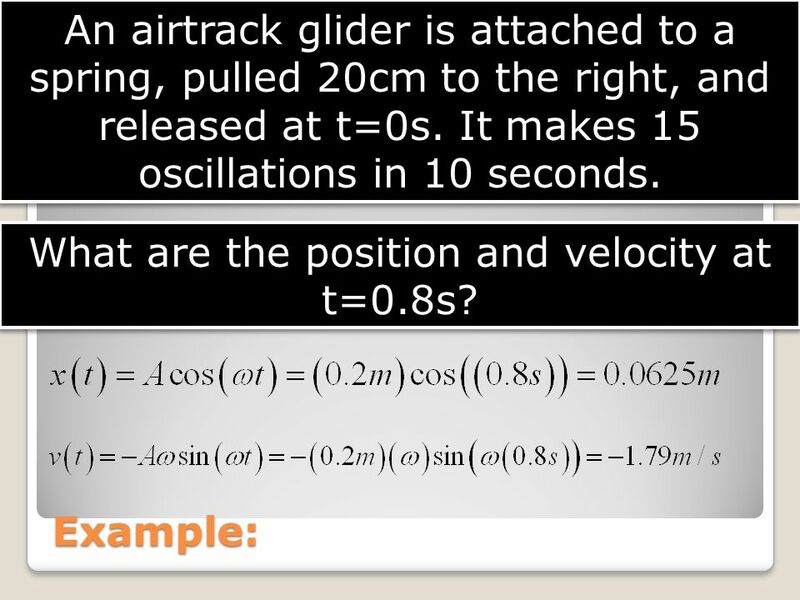 14 What are the position and velocity at t=0.8s? 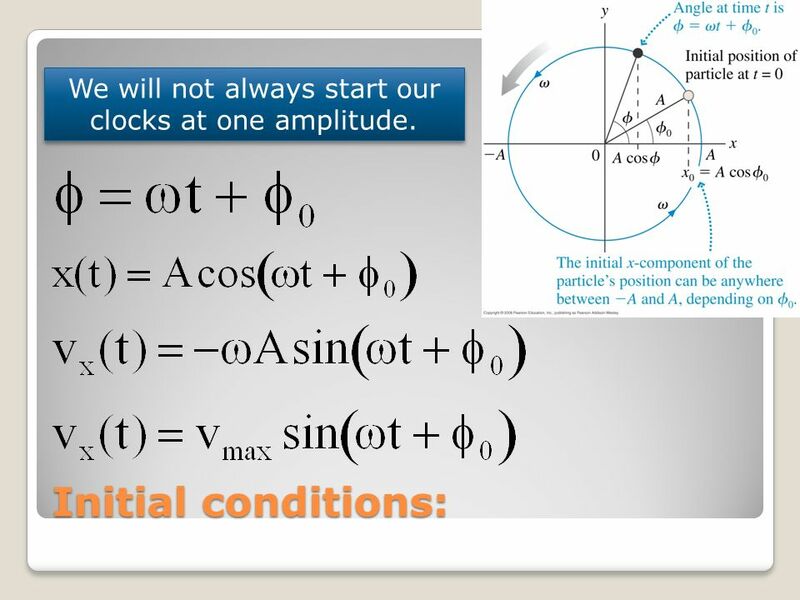 19 We will not always start our clocks at one amplitude. 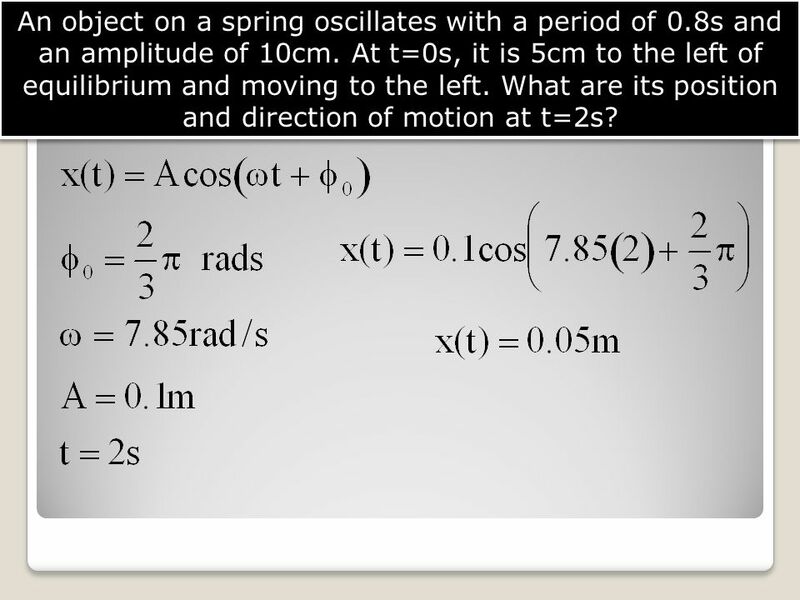 An object on a spring oscillates with a period of 0.8s and an amplitude of 10cm. 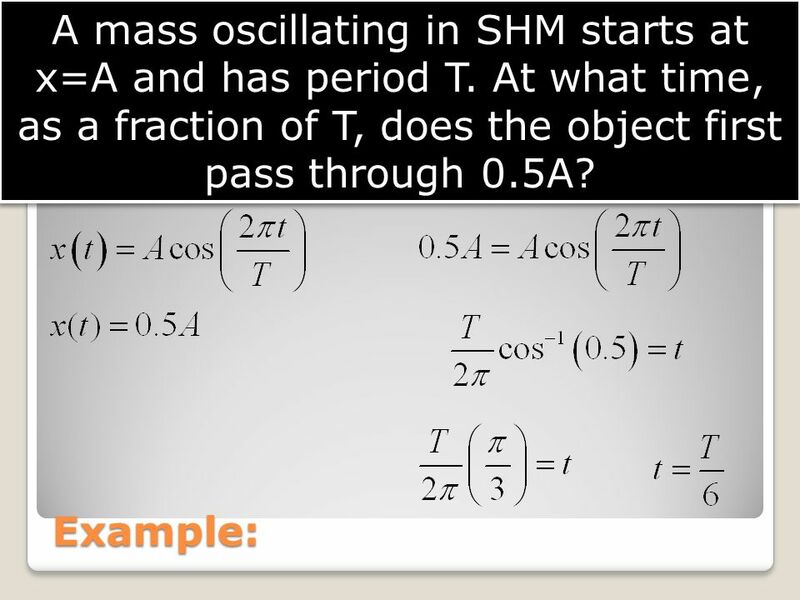 At t=0s, it is 5cm to the left of equilibrium and moving to the left. 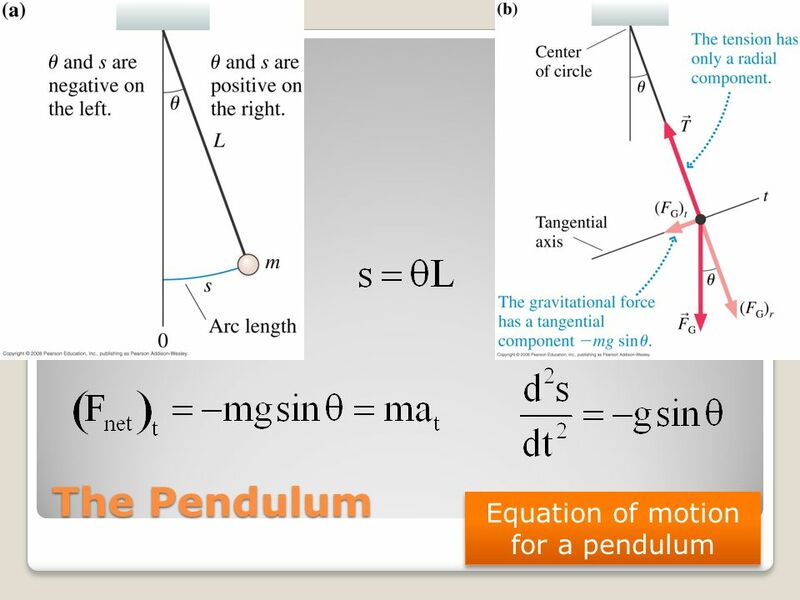 What are its position and direction of motion at t=2s? 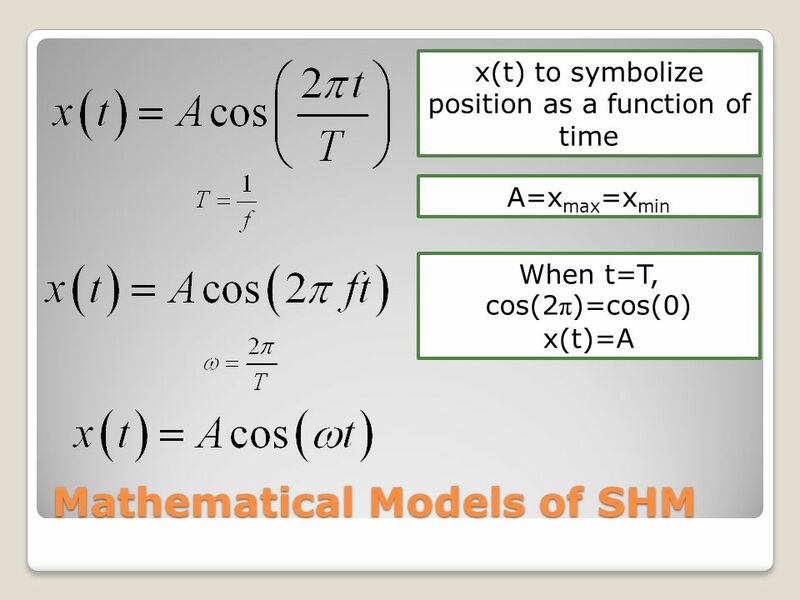 24 We have modeled SHM mathematically. 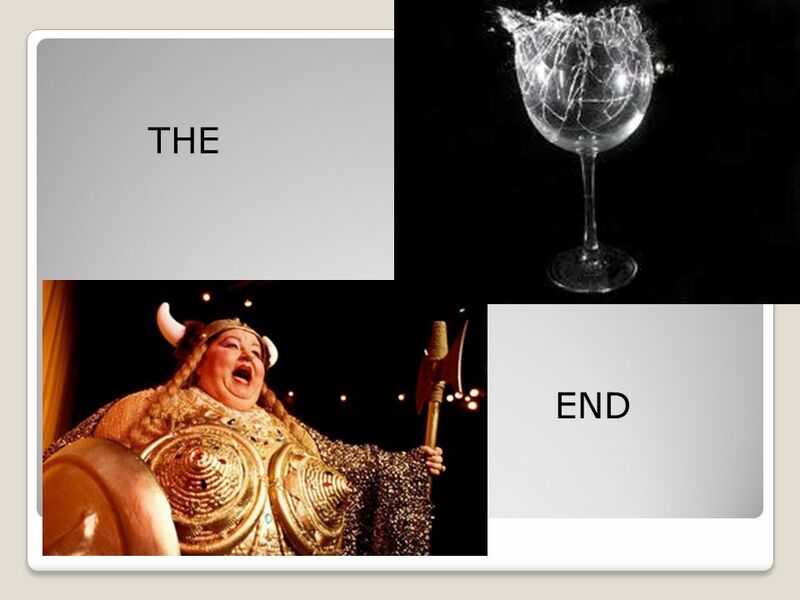 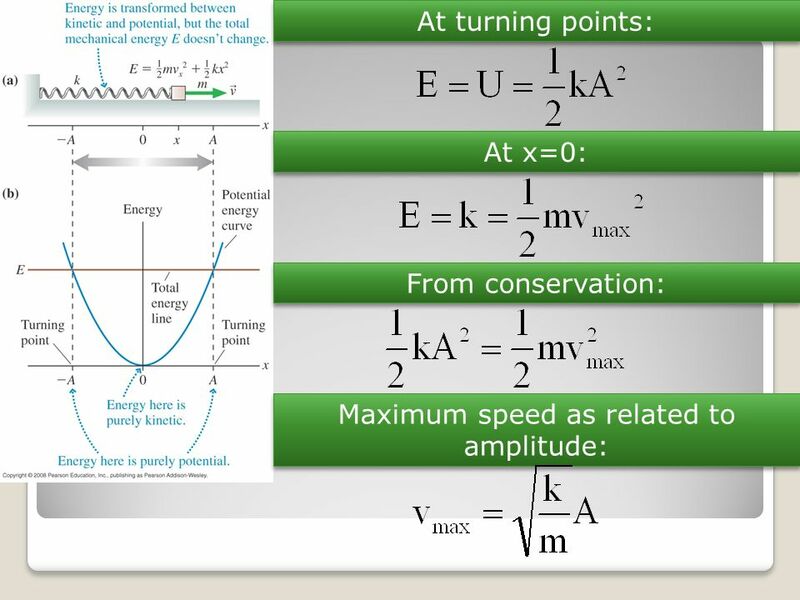 Now comes the physics. 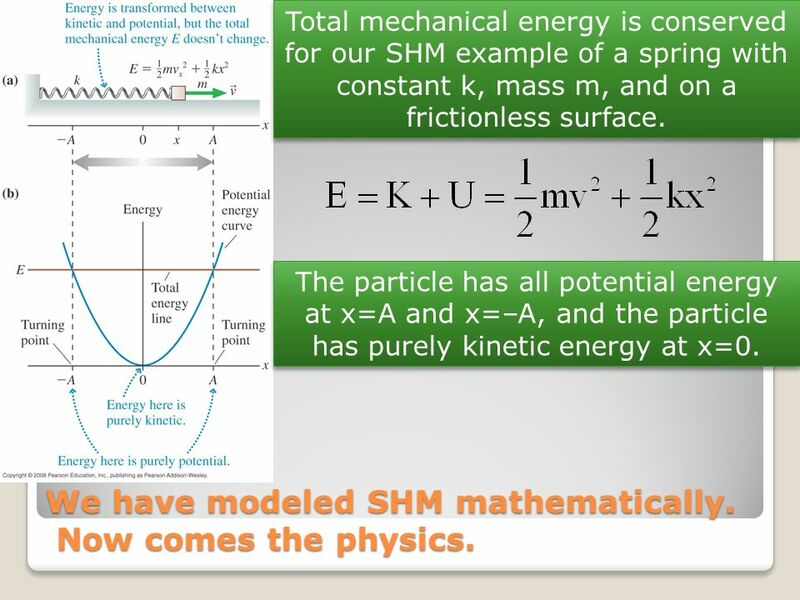 Total mechanical energy is conserved for our SHM example of a spring with constant k, mass m, and on a frictionless surface. 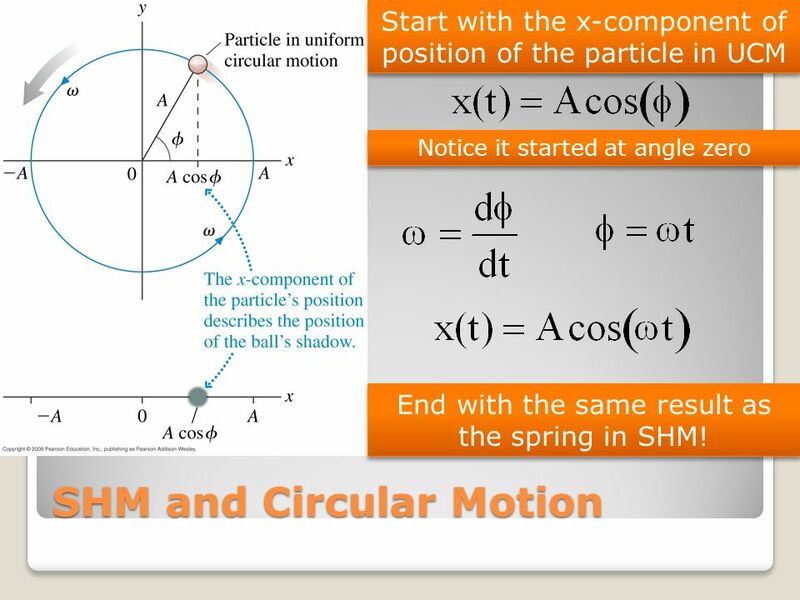 The particle has all potential energy at x=A and x=–A, and the particle has purely kinetic energy at x=0. 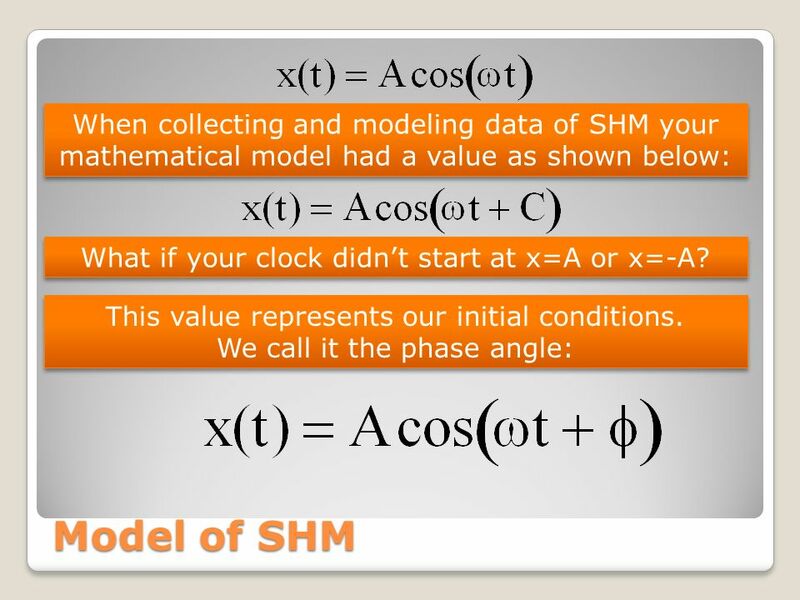 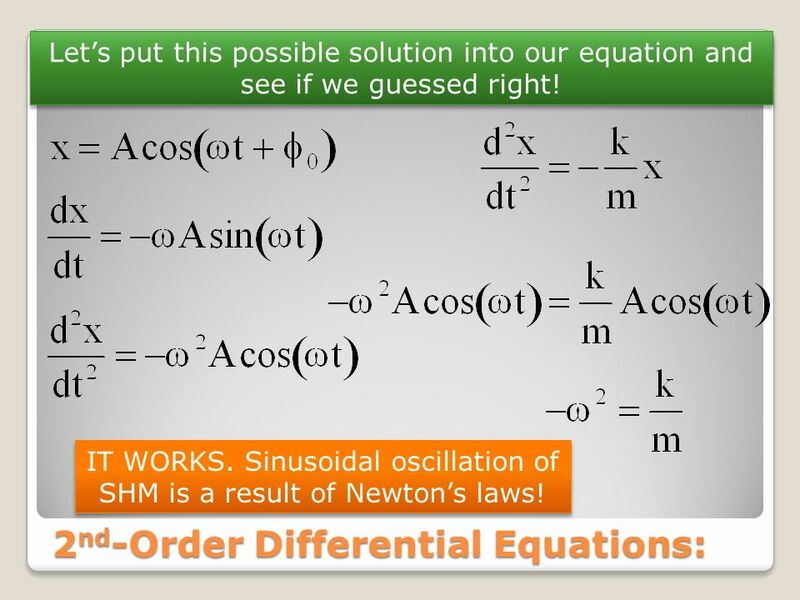 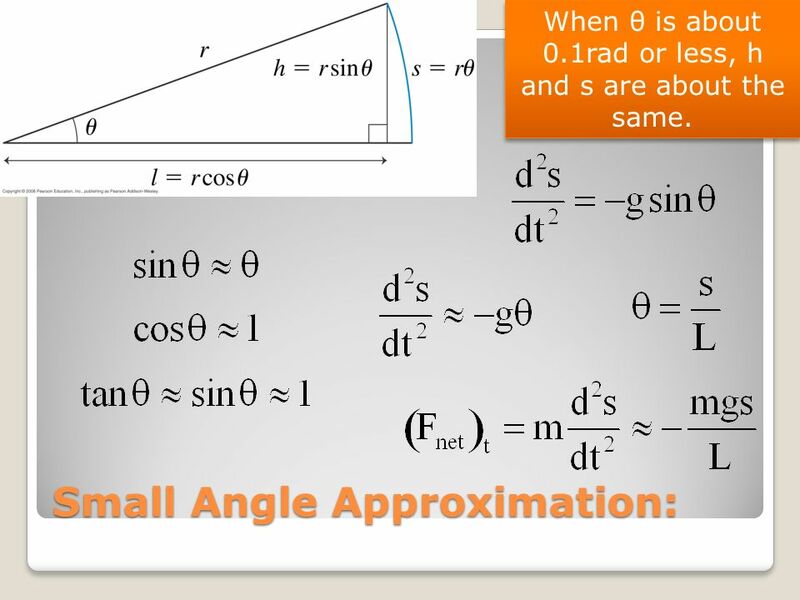 We have modeled SHM mathematically. 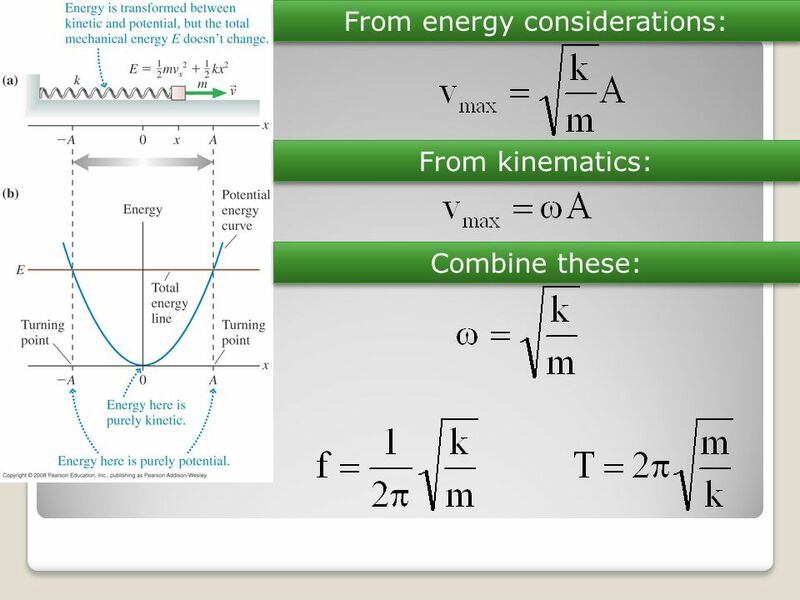 Now comes the physics. 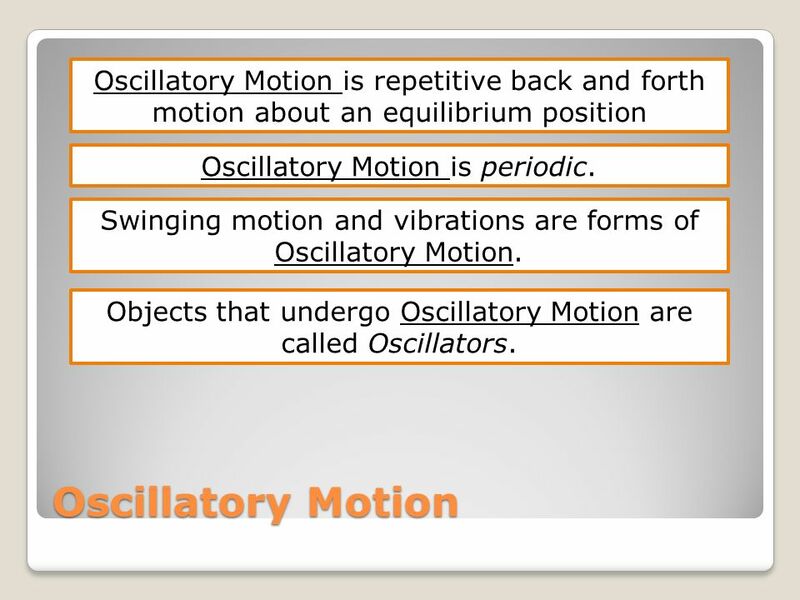 27 The motion is SHM and energy is conserved. 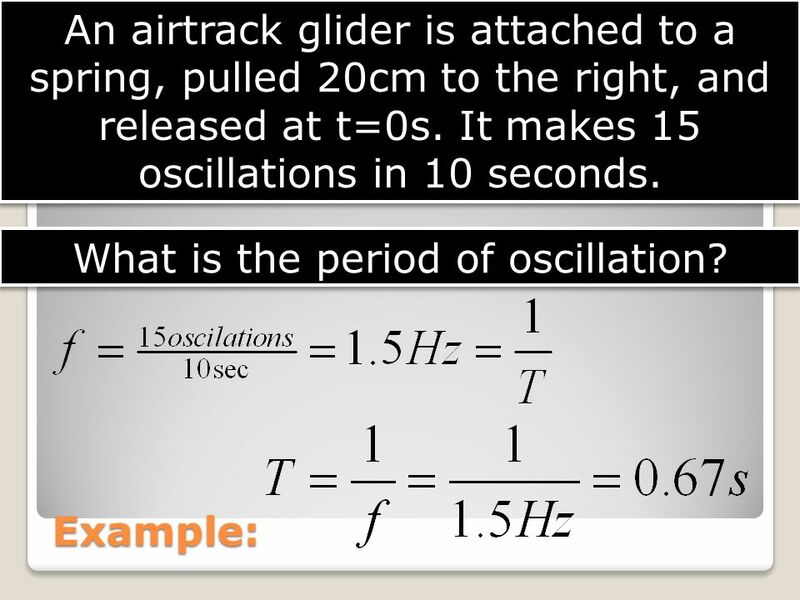 a 500g block on a spring is pulled a distance of 20cm and released. 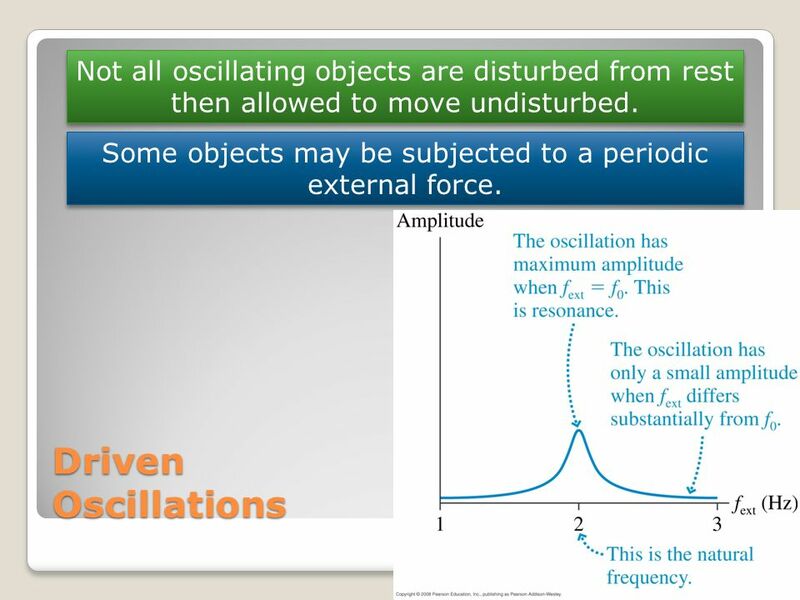 The subsequent oscillations are measured to have a period of 0.8s. 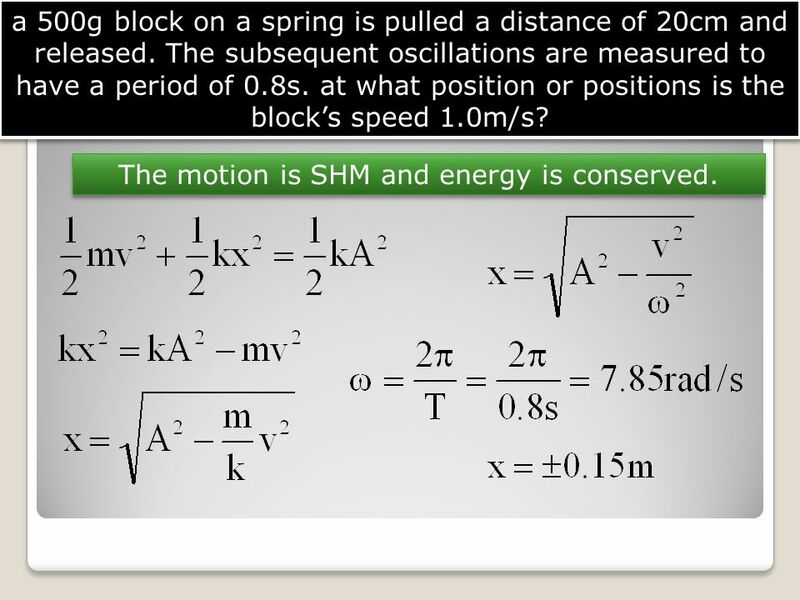 at what position or positions is the block’s speed 1.0m/s? 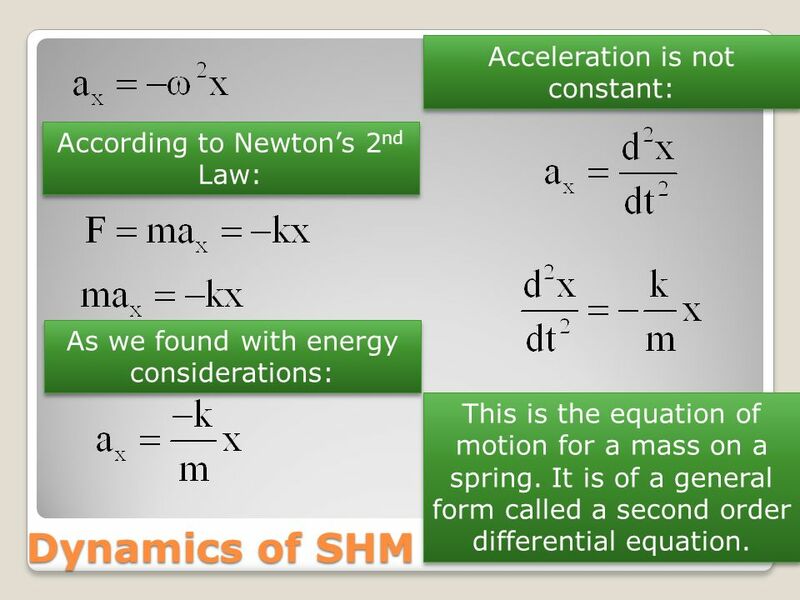 The motion is SHM and energy is conserved. 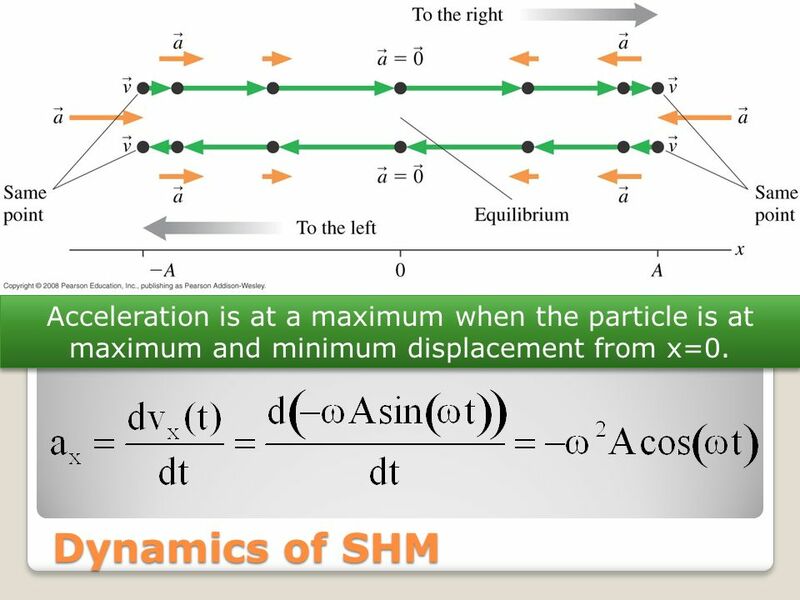 28 Acceleration is at a maximum when the particle is at maximum and minimum displacement from x=0. 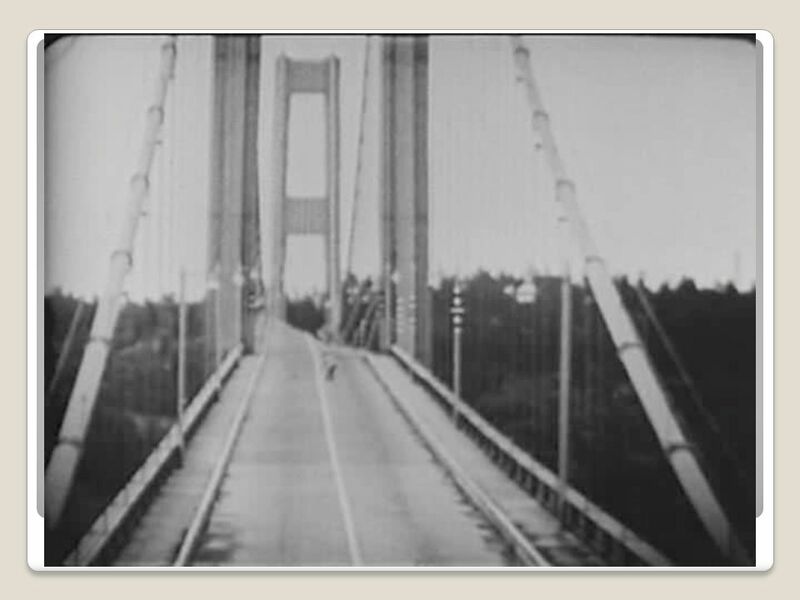 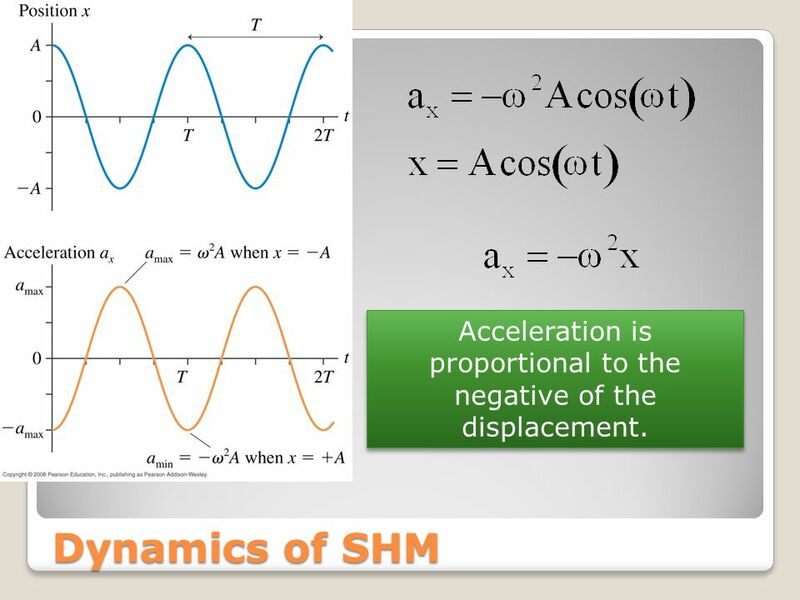 29 Acceleration is proportional to the negative of the displacement. 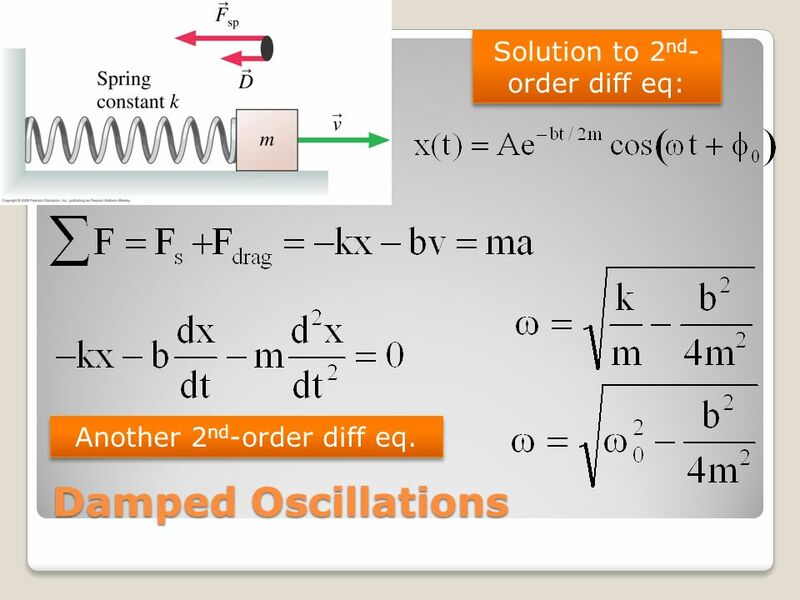 33 What about vertical oscillations of a spring-mass system?? 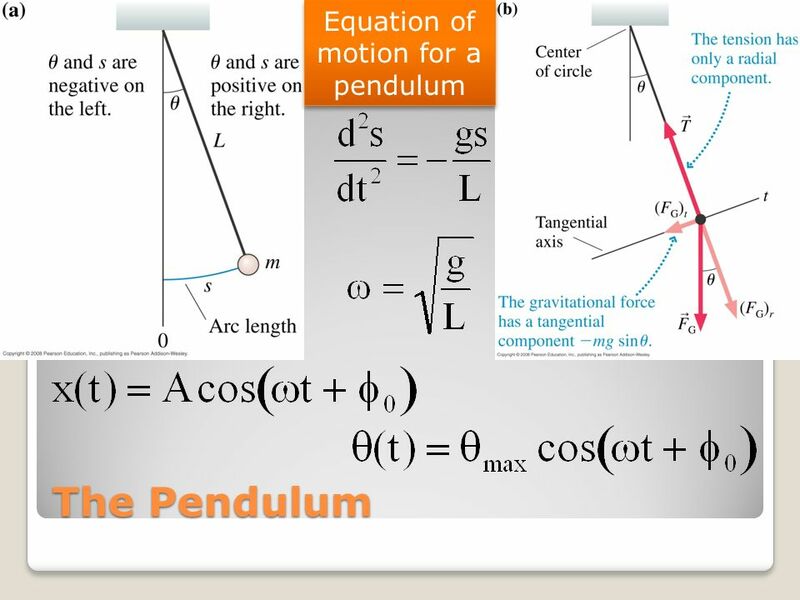 Hanging at rest: this is the equilibrium position of the system. 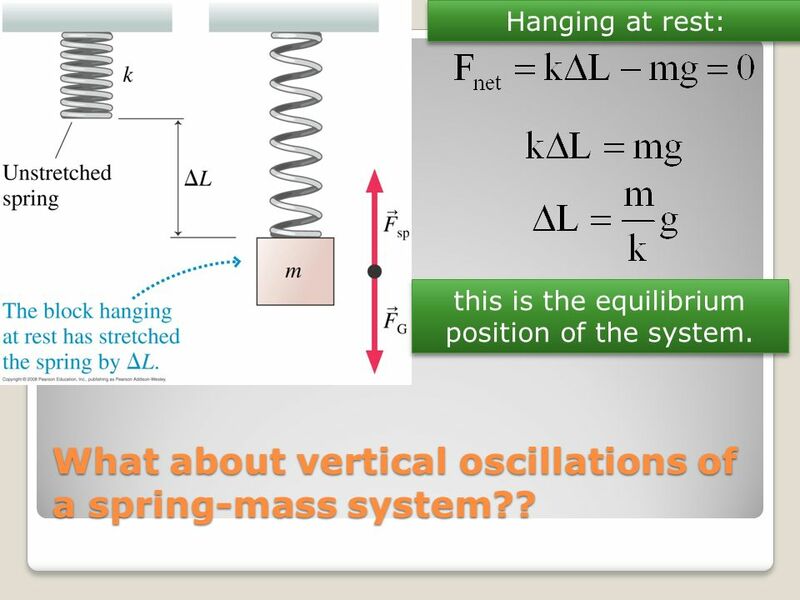 What about vertical oscillations of a spring-mass system?? 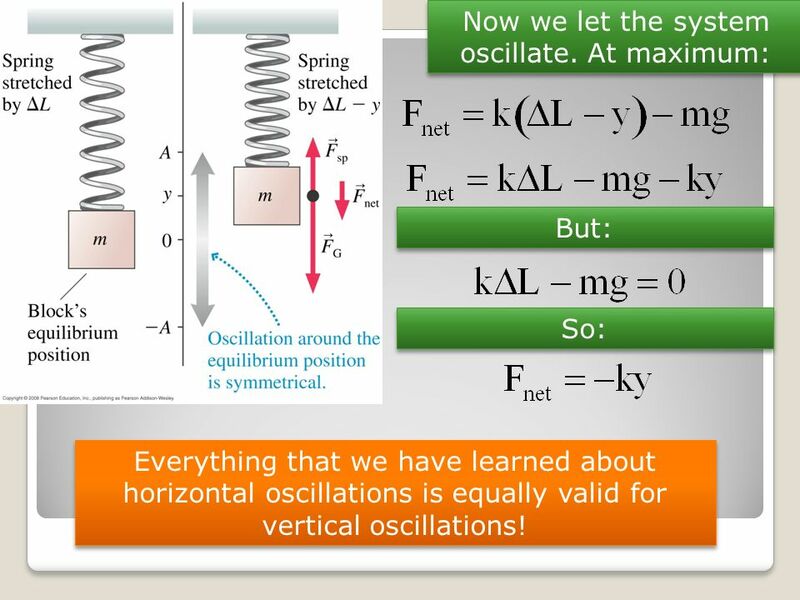 But: So: Everything that we have learned about horizontal oscillations is equally valid for vertical oscillations! 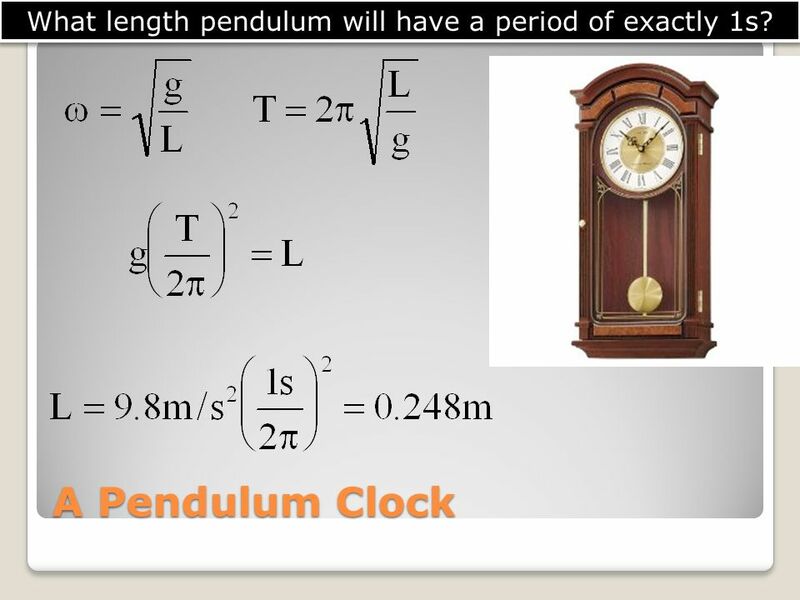 38 What length pendulum will have a period of exactly 1s? 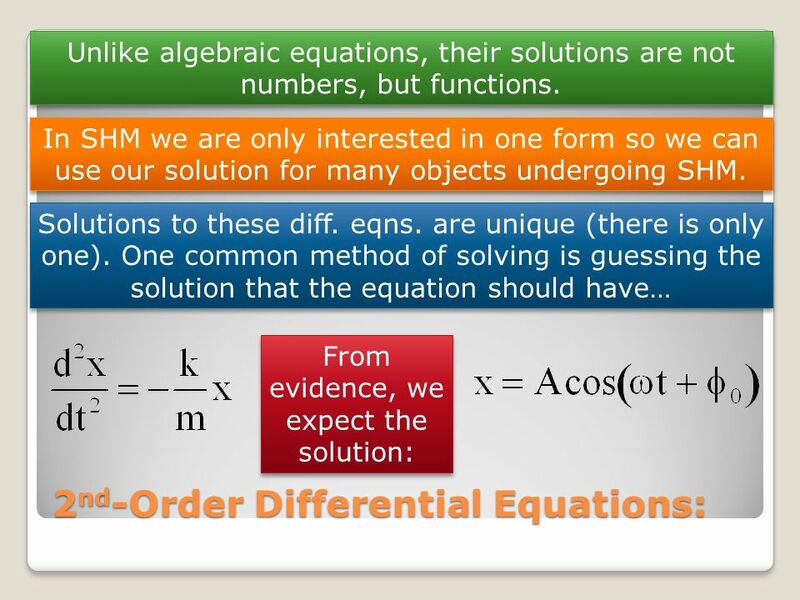 39 Notice that all objects that we look at are described the same mathematically. 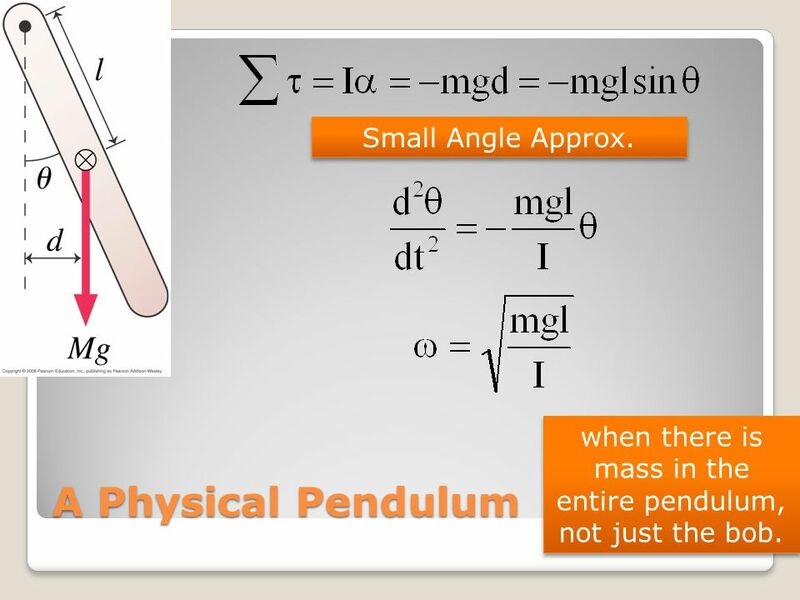 40 when there is mass in the entire pendulum, not just the bob. 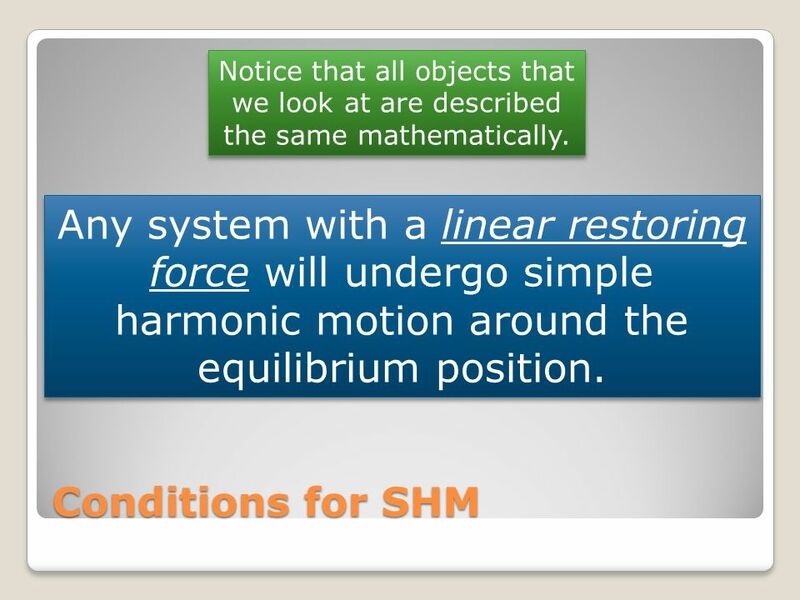 45 Some objects may be subjected to a periodic external force. 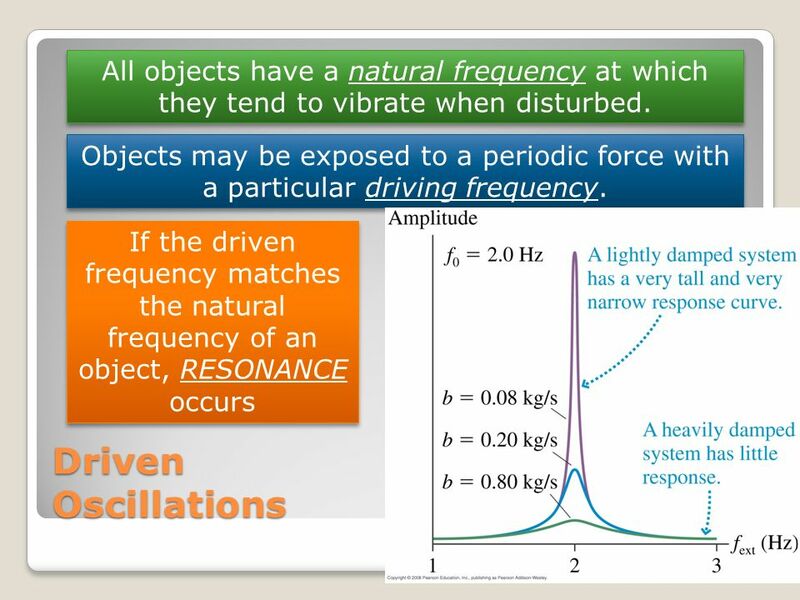 46 All objects have a natural frequency at which they tend to vibrate when disturbed. 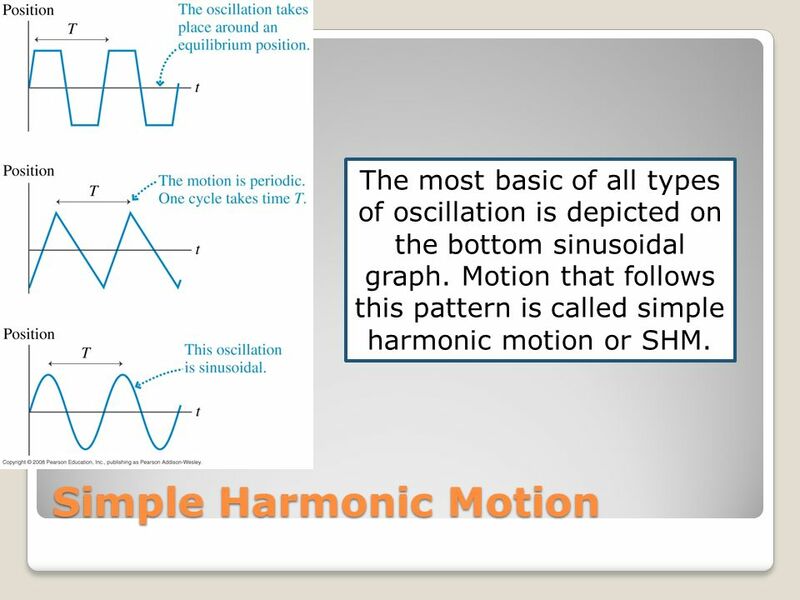 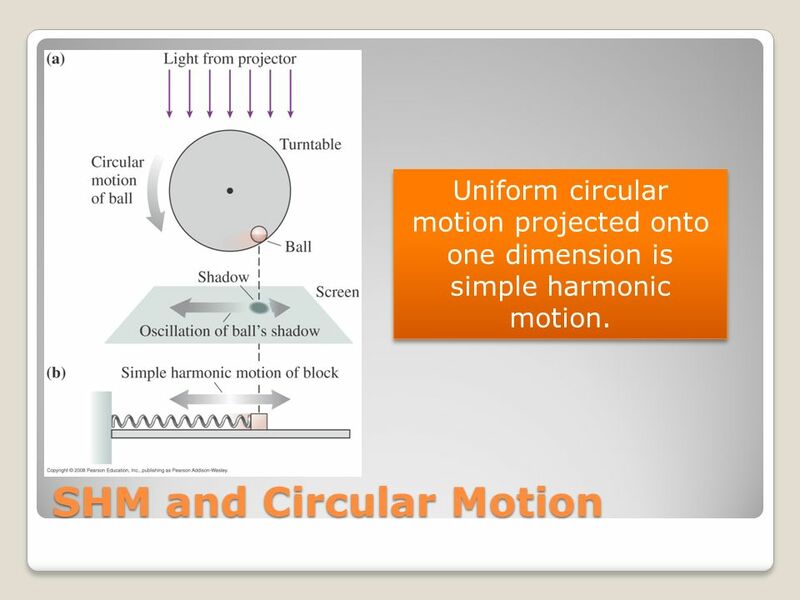 Download ppt "Oscillations and Simple Harmonic Motion:"
FCI. 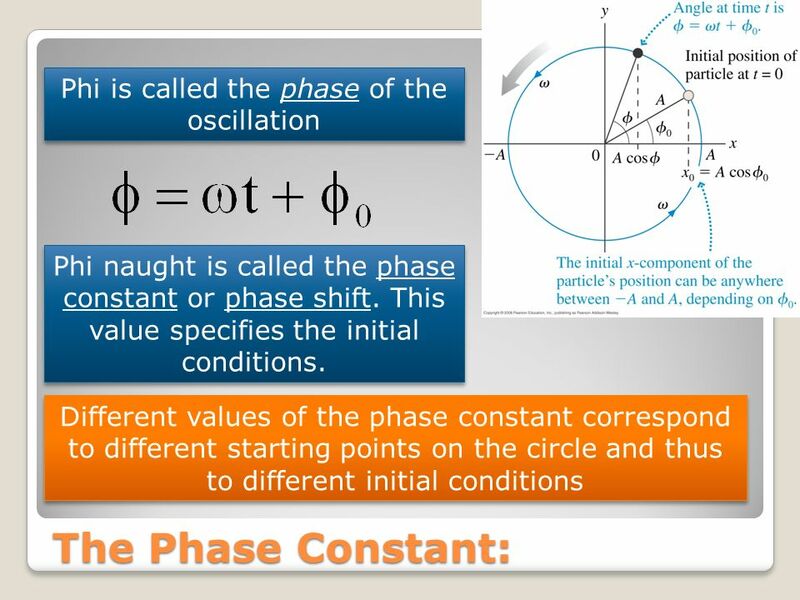 Prof. Nabila.M.Hassan Faculty of Computer and Information Basic Science department 2013/ FCI. 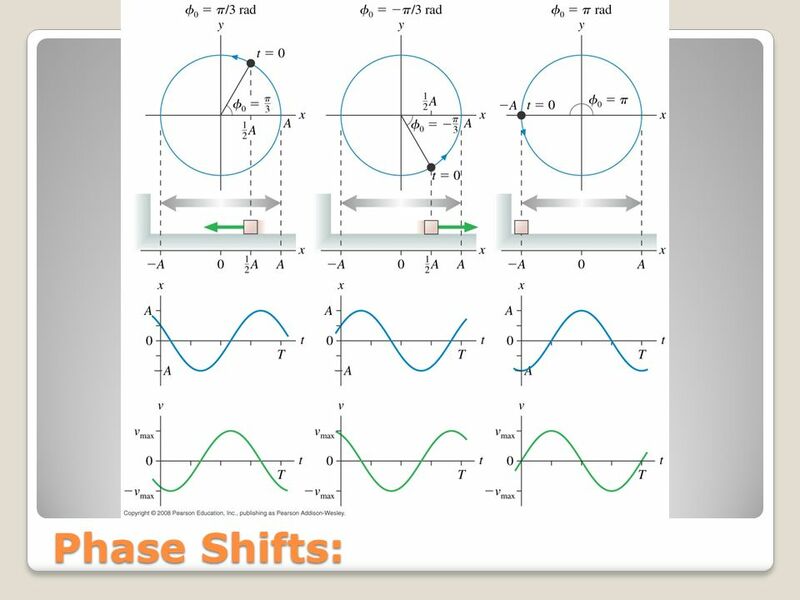 Chapter 13 Vibrations and Waves. 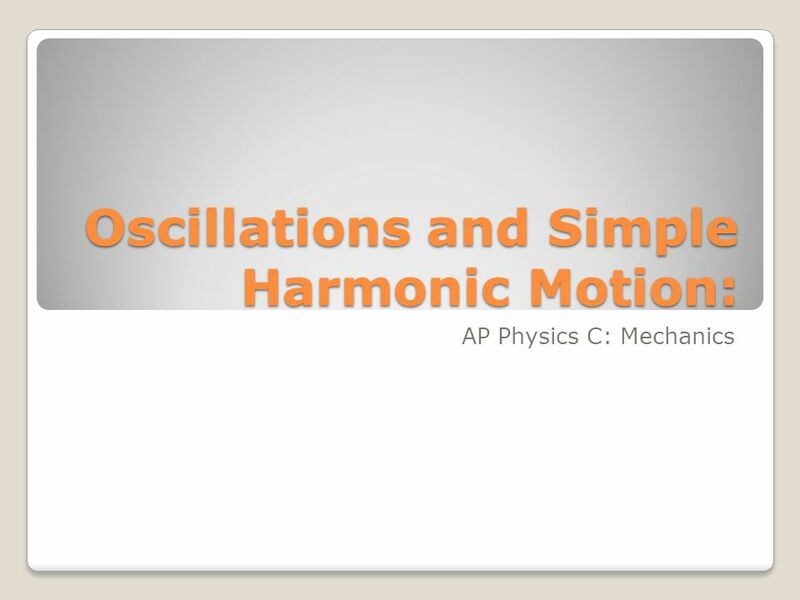 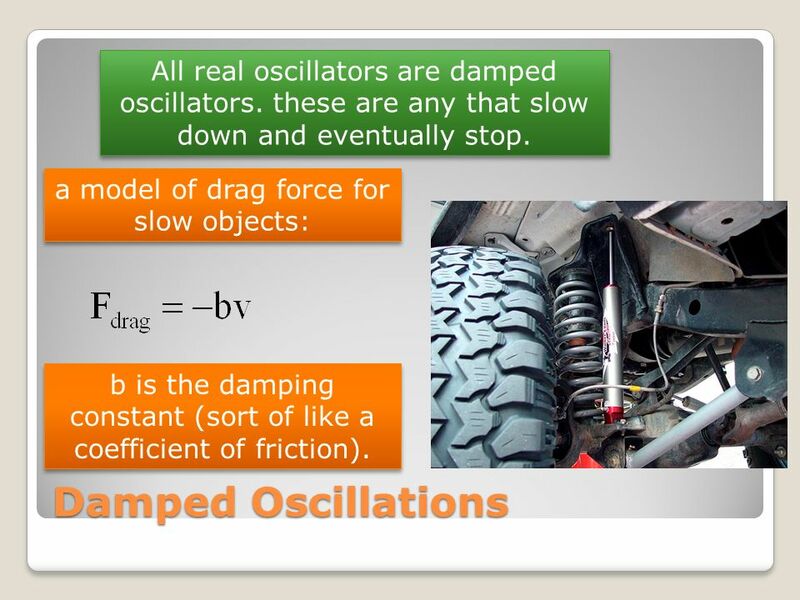 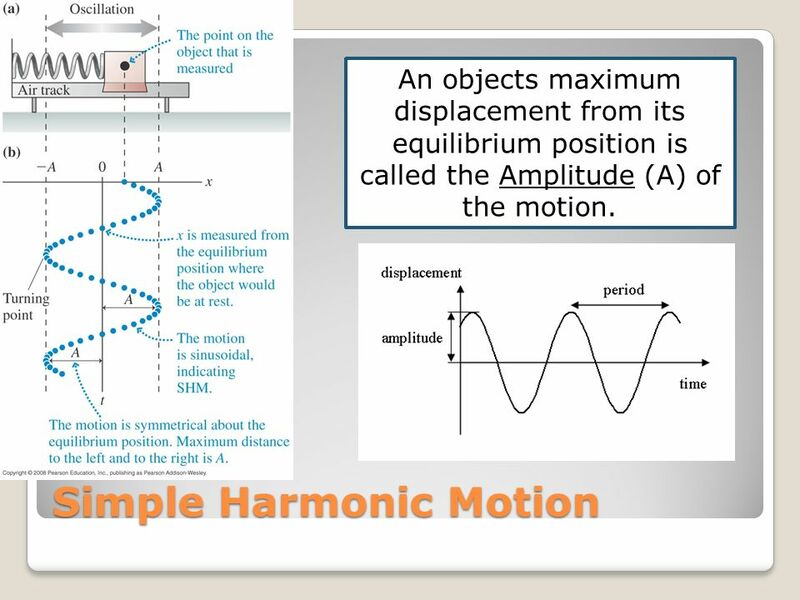 Oscillations and Simple Harmonic Motion : Mechanics C.